With Readly you can read All About History - Heroes of the First World War and thousands of other magazines on your tablet and smartphone. Get access to all with just one subscription. New releases and back issues – all included. 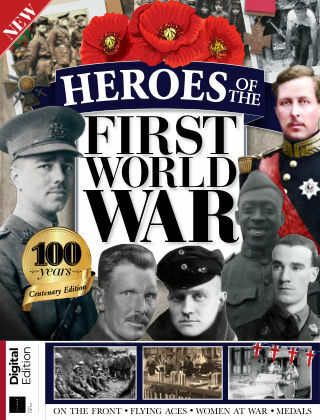 Commemorate a century of heroism with Heroes of the First World War. Discover the men – and women – on both sides who stood up for their nations and beliefs, rescued their compatriots from injury and death, and even made the ultimate sacrifice. From the Harlem Hellfighters battling segregation in their own ranks as well as the German Army, to the fearless medics who set out for the frontline to bring comfort and aid to the troops, to the women on the home front building bombs and farming crops, you’ll discover a wealth of incredible stories of heroism. Well-known figures like the Red Baron and the Garibaldi brothers are joined by a host of both officers and enlisted men whose conduct on the field was commended at the highest levels, and remembered 100 years later.